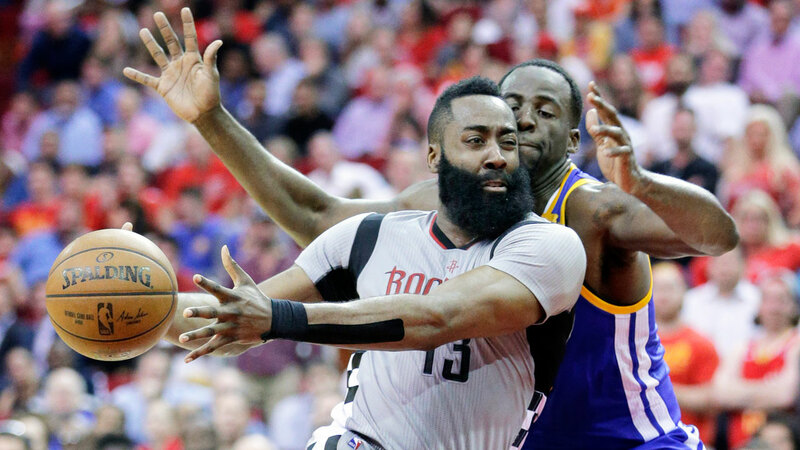 HOUSTON -- Stephen Curry scored 32 points, Klay Thompson had 25 and the Golden State Warriors built a big early lead to hold on for a 113-106 win over the Houston Rockets on Tuesday night. The Warriors scored 37 points in the first quarter and never trailed on the way to their eighth straight victory and 60th this season. Golden State led by eight after a pair of free throws by Curry with just over three minutes left. Patrick Beverley countered with a tip-in layup for Houston, then was fouled when he was knocked to the ground on a screen by Draymond Green seconds later. James Harden missed a layup on the next possession before Green added a shot on the other end to put the Warriors up 107-99. Another layup miss by Harden followed, and Curry made a 3-pointer with 1:46 left to send fans streaming to the exits.